Hello again!! Yes, I am hopping again. All of these hops give me a focus (and you lots of freebies). I have been networking/collaborating with the Virginia Teacher Bloggers since last summer. It is a great group and we talk way more than blogging. 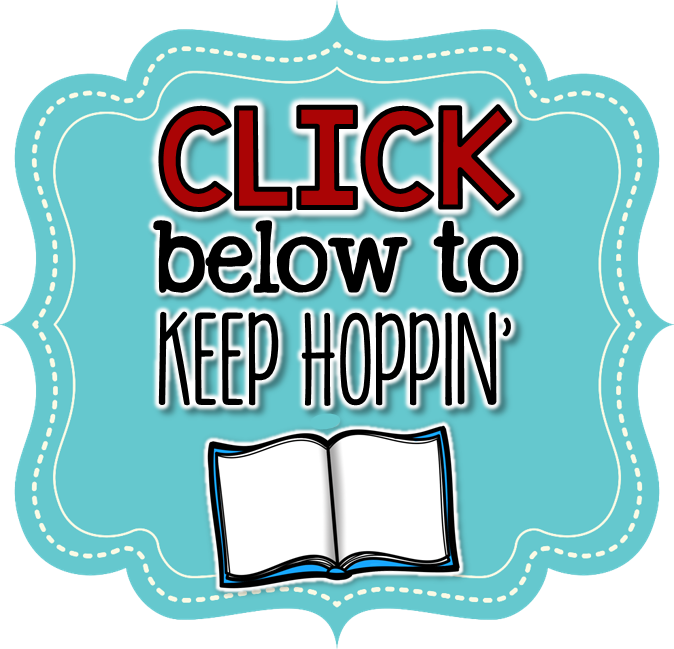 A few weeks ago (maybe even months ago) we decided we were due for another blog hop. 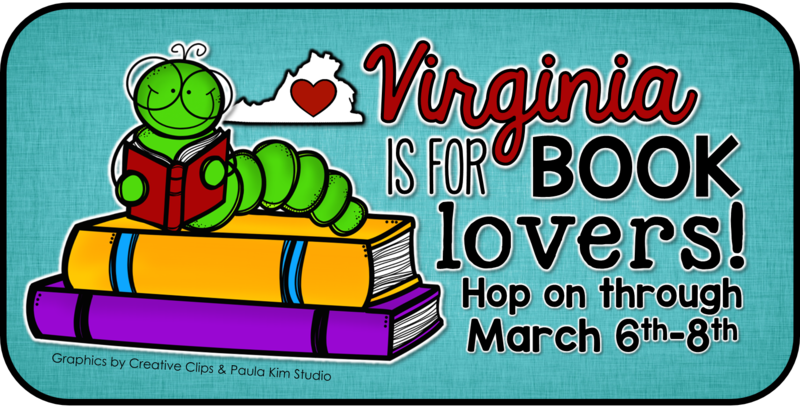 Virginia is for book lovers was born!! I have always loved to read and I have shared that love with my children. We all get super excited about going to the book store or library. I also think our school librarian gets excited when we get to the book fair. We have been known to buy a few ton of books. Today I wanted to share with you part of what is becoming my Underpants Bundle of activities. This is a matching game to practice rhyming. Some of the words are from the book, others were just added. Kids can play this like a simple matching game during literacy centers or you could put one half of the pair in a pocket chart and hand out the other half. Read the word and have the kiddo with the match come up and put it in. So many options!! You can get it by clicking here. Be sure to keep your eye out for when I finish more activities to go along with this book. Also, make sure you enter the giveaway below to try to win your own copy. Keep hopping through to make sure you get to the HUGE giveaway at the end. 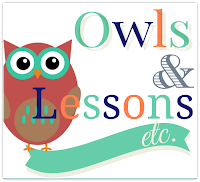 Keep hopping along to Owls & Lessons Etc. One of my favorite books is The One and Only Ivan. The underwear matching is too cute!! My kids will LOVE that! My students love any book about underpants! If I chose one of my favorite books that mentions underpants, I'd have to go with My Little Sister Ate One Hare - there's a part in it where she eats "even their underpants" and the kids howl with laughter. You can't go wrong with underpants and kids... a natural hook! Cute book and activity! I had not heard of this book so thanks for sharing! My favorite book is The Miraculous Journey of Edward Tulane. I haven't seen these books...but, I will! I love it. It sounds so fun! We love The Book with No Pictures! One of my favorite books is A Sick Day for Amos McGee! My favorite picture book is any in the Skippyjon Jones series. My favorite chapter book is anything in the Percy Jackson series. Any of the Tacky the Penguin books! It's wonderful ideas like this that make me feel like I'm missing out by not being a primary teacher! What an adorable game! My favorite book is anything by Judy Blume or Patricia Polacco. Well the Giving Tree has always been a favorite for me. Thanks for the chance! Stellaluna and Verdi are two of my favorites to read. My kids love the characters. My kids love this book! It is so much fun to read. How have I never heard of this book before?!? I love to giggle and be silly with my kids and what better way than reading about underpants? I like Trouble With Trolls. My first grade boys love this book! Great freebie to go with it. Mine love Junie B. My personal favorites? The Harry Potter series. Thanks for introducing me to this book; I'd never heard of it before now. I have two favorites: Library Lion by Michelle Knudson & Comet's Nine Lives by Jan Brett. Any of the Skippy Jon Jones books are much loved.